Our morning started off with yummy coffee, tea and pastries provided by local business Parisi Artisan Coffee. First up was keynote speaker Carolyn O’Neil, a nutrition expert, television personality and registered dietitian presenting, “The More You Know, The More You Can Eat.” I loved her energy and passion for nutrition! Some tips: wash ALL your produce. The most germs in the kitchen are found in the refrigerator produce drawer. That was news to me! Also choose your food wisely: what you eat can kill you or what you eat can cure you. Trick from the Instagram panel: use Iconosquare (formally Statigram) on your computer. Love it! Thanks for the tip Kristen Doyle, local Kansas City food blogger from Dine and Dish. Yum! Lunch catered by Chipotle included a few of my favorites: guacamole, black bean, salsa and more…plus the introduction of their new Sofritas, shredded and braised tofu. Delicious! Afternoon keynote speakers Lindsay and Bjork Ostrom from Pinch of Yum inspired us with their presentation, “Taking Your Food Blog from Good to Great!” Most food bloggers have heard of this fabulous couple but this was my first encounter with them. I heard several tips and tricks that they used to turn their blog from $20 a month to a 6-figure annual income. Looking for a way to free up some time? Milisa Armstrong from Miss in the Kitchen presented, “The Food Blogger Time Turner: How to Work with a Virtual Assistant.” Milisa’s important tip: it’s not only vital to expand your virtual blogging team, it can be an important key to your success. Special shout out and thanks to the evening reception sponsors: Thursday night welcome: Kansas Farm Bureau where we enjoyed local chefs appetizers. 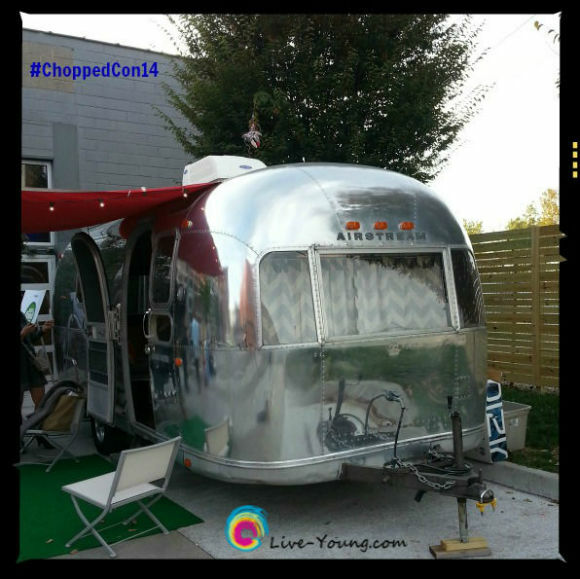 Friday night after party: Best Food Facts included an Airstream photo booth, giveaways, food and more! 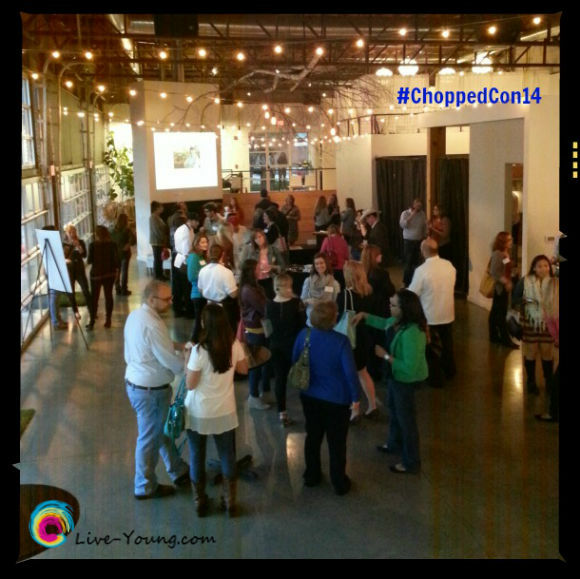 Kudos again to Marly and her team on the inaugural launch of Chopped Conference. This was exceptional event and look forward to attending next year! Chopped Con was such a great time and it was so nice to meet you Lou Ann! Thanks for the shout out. It made my day! @Milisa Armstrong It was great to meet you too Milisa! Loved the event! Excellent recap, Lou Ann! 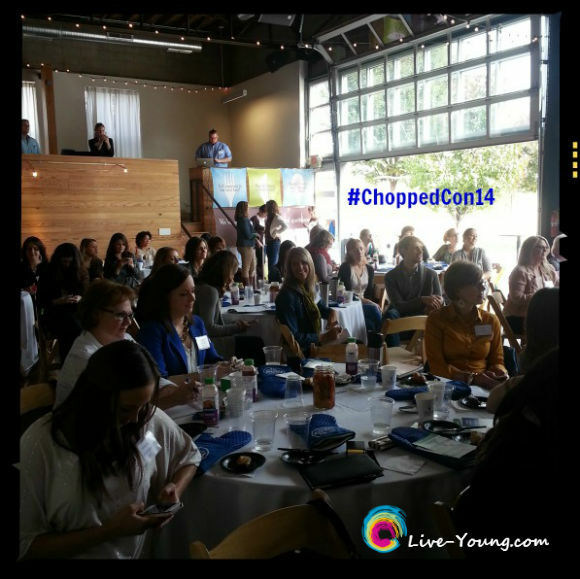 ChoppedCon was so much fun. I hope it becomes a Kansas City tradition! @Nichole Kraft Thanks so much Nichole!! I wanted to give kudos to Marly and the sponsors and share just a snippet of our day. Those who want to know should attend and experience it!! I hope it's a tradition too!